Herein is a fascinating and tragic family story of one of the foremost Historians of Skagway and the Gold Rush written and posted online in 2006 by Heidi Gurcke Donald. This is a picture of the first shipment of gold from Nome to Seattle in 1899. Mr. Weimer was born in August 1853 in Ohio. He married Ella J. Tribby in 1879 in Trenton, Iowa and had a son named Howard L.
M.D. K. as he preferred to be called, and Ella were both teachers. In 1897 with so many other goldrushers, M.D.K. 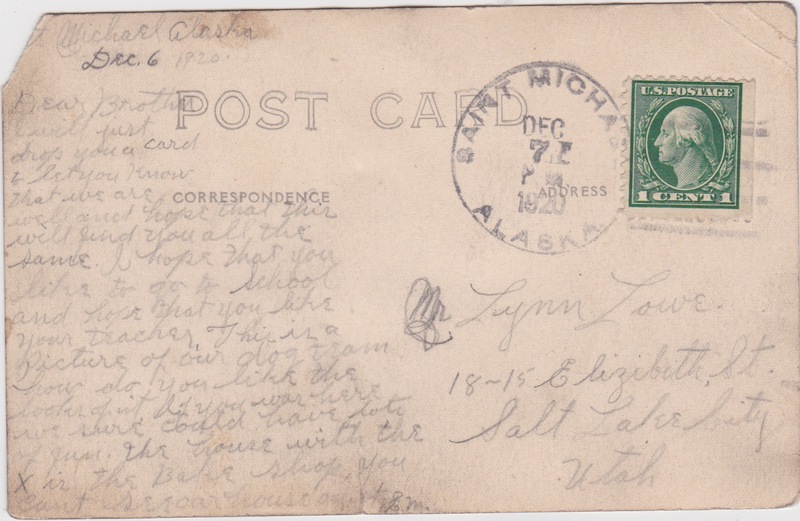 came to Alaska and settled in Eagle where he was the editor of the Eagle Reporter in 1898. He returned to Ohio by 1900 and then the family moved to Nebraska and then on to Los Angeles. Their son worked as a linotype printer in Alhambra and married there. In 1903 he wrote a book called “The True Story of the Alaska Gold Fields” which can be found online for sale. He died on February 2, 1931 in Los Angeles. In May 2009 ice and floodwaters swept away more than 100 years of history with the destruction of Eagle Village. The small log cabins that had once populated the long-established community known as Ninak’ay to the Han people lay strewn along the banks of the Yukon River. The homes, which had been handed down from one generation to the next, were demolished. But now, three years later, a new village stands three miles away on higher ground, safe from floods. Seen above was one of the destroyed cabins from the gold rush. familysearch; Yukon the Last Frontier by Melody Webb p. 137; 1900-1940 censuses; Rootsweb database of Iowa cemeteries; Alaska Gold Rush History of Alaska Newspapers; Fairbanks Daily News. Loring and Mary Wilkes came to Skagway from Nebraska in the gold rush with their little son Mark Edward. Loring worked as a cook but in 1948 wrote: “Packers on the Dyea Trail” in the Alaska Sportsman (June). His son Mark went to World War One and listed Skagway as his home town. Mark Edward Wilkes disappeared on this day, November 13, 1918 in France, perhaps near Exermont or Nantillois. Many officers – Majors Murray Davis and Fred A. Cook, Captains Joseph G. Duncan, Edgar Hayden Dale, James C. Kenady all died as well as many Lieutanants, Sergeants, Corporals and privates. Sadly, the Great War in Europe ended on November 11, two days prior to the announcement of the many deaths. In September and October 1918, the 35th Division was attempting to reach the village of Exermont. The church and town were nearly destroyed near the Chaudron Farm Road by a counter attack of the German Army on September 29, 1918. Seen above are some of the American soldiers in the church there. There is a memorial in the town to the fallen soldiers which is perhaps the only marker that Private Wilkes has since he was listed as MIA. 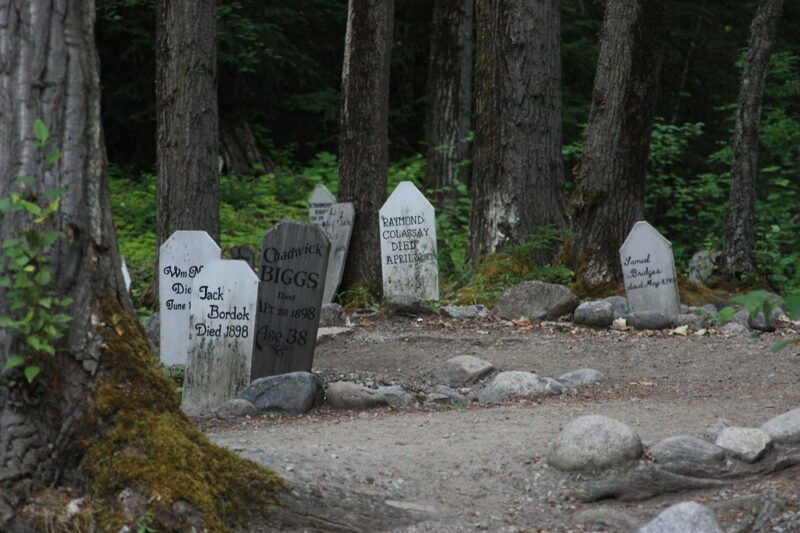 Below is the marker in Skagway which does not bear his name. Here are three alternative White Pass & Yukon Route modes of travel. The paddlewheel steamer Tutshi is seen here whole before it burned many years ago. On the left is an old White Pass horse drawn wagon. The little Duchess engine which was used over on Lake Atlin is looking alot spiffier here too. These days you are not allowed to climb on top of it and try to pry the pieces off. Kids. The Duchess was built by the Baldwin Locomotive Works in 1878 and John Irving purchased her from the Collieries on Vancouver Island in 1899. 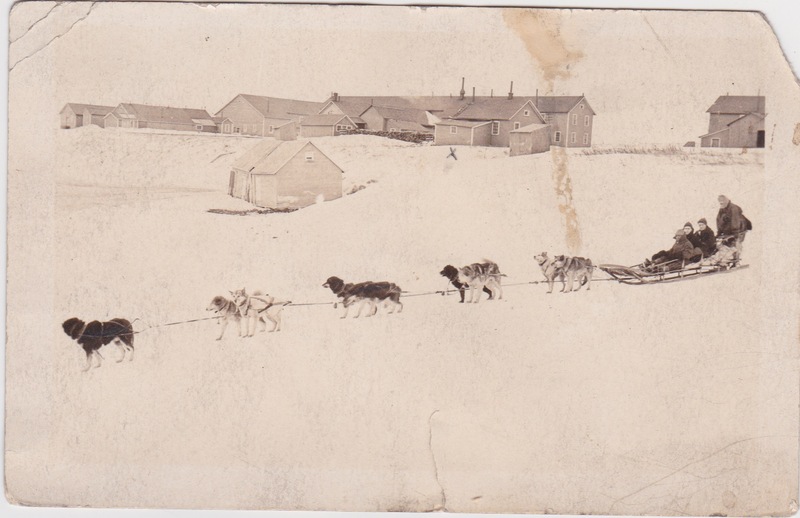 She was shipped north on the S.S. Danube and hauled by train to Carcross and then barged to Taku Landing. In 1900 White Pass acquired the interests of the John Irving Navigation Company and the Atlin Short Line Railway. 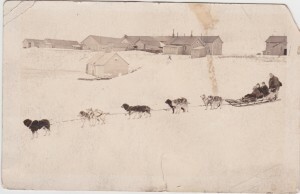 On July 18, 1900 the Duchess pulled the first load across the portage. At $2 fo 4 kilometers it was the most expensive trip in the world. Passengers rode amidst packages and cargo, stamping out cinders and sometimes asked to help push the train the last part over the hill where the grade was 7%. For many years White Pass owned the transportation route from Vancouver all the way to Atlin. The Duchess ran until 1919 when she was replaced by engine no. 51 (one of the two original Baldwin engines built for White Pass.) In 1932 the other engine, no. 52 was brought there. Last weekend we went to Atlin, it was beautiful. Stayed at the Brewer’s Bay Chalet which, although clean and plain has a million dollar view of the lake and snow covered mountains. After walking around town in the rain, we visited the Atlin Cemetery and photographed this curious monument to Harper Reed, gentleman adventurer. Have not been able to find out anything more, if anyone knows, please leave a comment. Located on the Dalton Trail above Haines.